Its stainless steel housing and temperature range (-20°C to 110°C) make it perfect for a variety of activities in science and math. Just plug the EasyTemp into your calculator and watch your temperature data graphed in real time! There’s no need to manually record temperatures during an experiment. Let your TI-84 Plus do it. 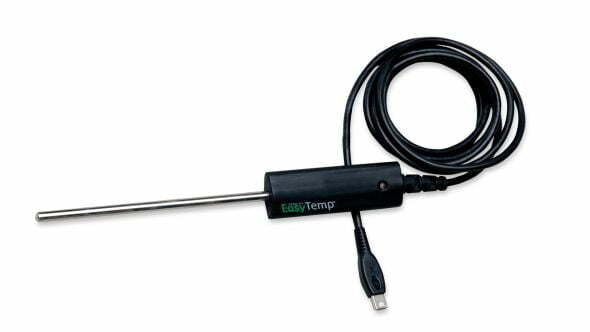 Vernier EasyTemp requires a TI-84 calculator or TI Nspire handheld in order to collect data.